Suit up and join Iron Man and the rest of the team to stop Captain America in this Captain America: Civil War War Machine Child Half Mask. This child half mask is modeled after War Machine’s helmet in Captain America: Civil War. It features silver and gray armor paneling with eye and mouth cutouts for visibility and breathing. The mask provides coverage for the front half of the head. It measures 6.75 inches in width, 10 inches in height, and 4 inches in depth. The mask is secured by a black elastic band with velcro patch on back. 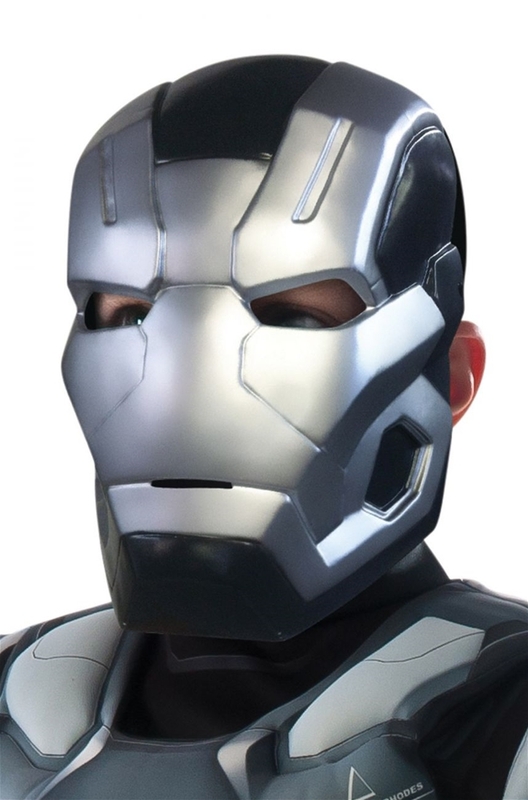 Complete your War Machine costume for Halloween, Comic Con, or cosplay fun with this War Machine child half mask. 6.75 in. x 10 in. x 4 in.